Opposition leader Raila Odinga formed the People’s Assembly on Tuesday after reiterating the election was a sham and that only 3.5 million people voted. Raila, who earlier announced a national resistance movement, said NASA will carry on with its restoration of democracy in line with the law. “There will be a broad-based forum of elected leaders and sector including workers, civil society, religious leaders and economic interest groups,” he said at Okoa Kenya. The ODM leader said the assembly will exist until a legitimate president is installed. Regarding the resistance, he said he and other NASA leaders will ensure a successful economic boycott and other legitimate forms of protests. “We are forming a task force to look into businesses that have led to this [political] crisis,” he said. 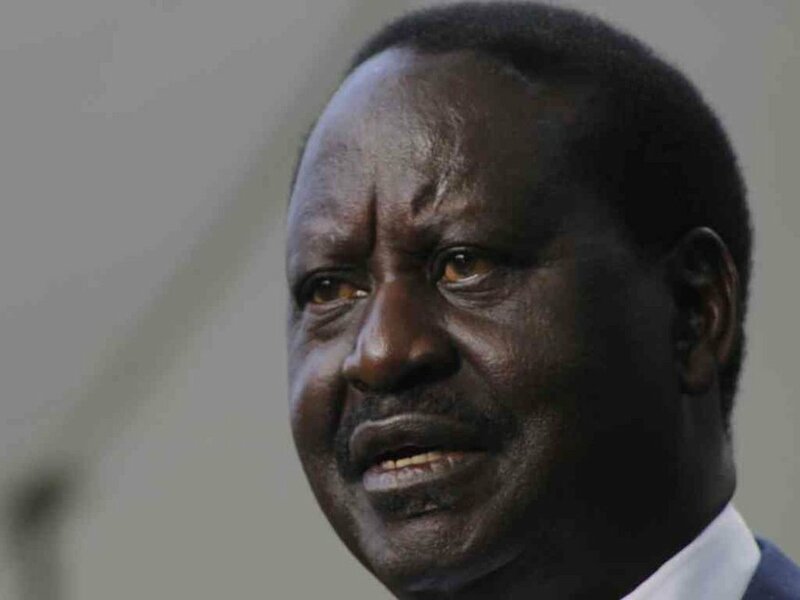 Raila noted they will look into the systemic failure of electoral bodies, performance of security organs and political architecture in the structure of the executive to protect devolution. Their primary concern is the “continued inability” of the government to deal with political strife, poverty, inequality, corruption and historical grievances. “The task force will include constitutional amendments and its work will be to take the assembly to the people for adoption and then to the county assembly who will endorse it,” he said. This statement was in reference to President Uhuru Kenyatta and DP William Ruto, who have termed the election victory legitimate. The Jubilee Party bosses have acknowledged the people’s right not to vote but have been termed “leaders of a minority” as voting did not take place in 25 constituencies in Kisumu, Migori, Siaya and Homa Bay counties. On the election, the veteran politician said they will not allow the repeat to stand as it was rigged. On October 29, Musalia Mudavadi called on the international community not to acquiesce to the “fraud being committed in the name of a repeat presidential election”. Mudavadi said the lack of shades for a free, fair and transparent election makes the Kenyan situation incomparable to the worst election by any African standards. He doubted whether the West actually knows what Kenya’s fall into a lawless dictatorship means for the region. “I doubt our friends know what the loss of Kenya as an experiment in democratic governance means to the African region,” he said. Raila did not mention legal challenges to the election in his speech but criticised Elections Laws (Amendment) Bill, 2017, which President Uhuru Kenyatta is yet to sign. The amendments are expected to become law as the 14-day period for his consideration lapsed. The NASA boss added Uhuru is in office unconstitutionally yet power can only be exercised by democratically elected leaders. Uhuru has said he will be ready for a court challenge and consider talks but only after all other avenues are exhausted. The NASA leader said during their meeting with IEBC chairman Wafula Chebukati, he said he would resign after talking to Uhuru. “We met Chebukati and said he was not able to deliver a credible election. He said he was going to talk to Uhuru then go to court and resign later,” he said. This was not the case despite expectations by many and in an address after commissioner Rosely Akombe quit, Chebukati said he would stay put and ensure a credible poll. He noted on Monday that they achieved this and that the commission cannot please everyone. Raila said he did not know what happened after the meeting but noted there was low voter turnout in the October 26 election. IEBC placed the ifgure at 38.84 per cent and said Uhuru got 98.26 per cent of all votes cast. But the ODM boss said: “IEBC did not have turnout. Chebukati announced a 48 per cent turnout. IEBC was not able to deliver a believable figure despite the fact that KIEMS kits transmitted every two hours. He further said NASA wants dialogue as what is needed is a compromise with Jubilee.